The Bermuda Guild of Stitchery will be hosting a fundraising needlework show on Saturday [Oct 6] at the First Baptist Church Hall, Middle Road Devonshire. 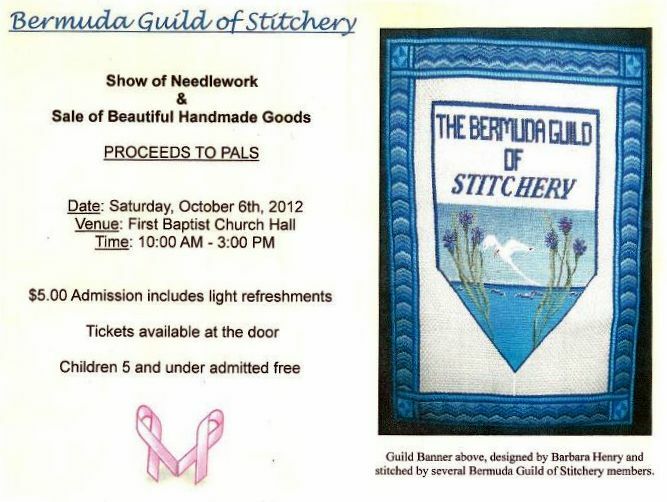 The event starts at 10:00am and runs until 3:00pm with a show of needlework and sale of handmade goods. Admission is $5 and includes light refreshments with children 5 and under admitted free. Proceeds from the day will go to PALS and tickets are available now from guild members or at the door.